Christopher Columbus would have a hard time navigating our square Earth Cube stress balls! You can put a custom imprint on an earth cube stress reliever and hand them out at shows and special events. 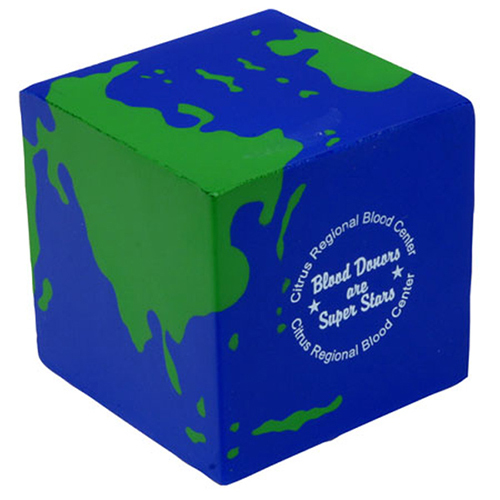 An earth cube stress ball is a great promotional item to give-a-way because it is so unique and fun to squeeze. Item Size : 2-1/2" x 2-1/2" x 2-1/2"